We continue our month long series on science in space. When I think astronomy, I naturally think black holes. Pop culture and Stephen Hawking are probably due the thanks for that. But not all black holes are created equal. They come in many different masses and their behavior varies wildly based on that mass. I wanted to learn about a very special black hole - the supermassive black hole. Not just a wildly popular song, it is a technical scientific term. This week, we sit down with UC Berkeley astronomer Steve Croft to talk all things supermassive. Steve uses radio astronomy to understand these black holes, often using widefield arrays to visualize them. We talk about their life, eating habits, and their role as nature’s best particle accelerators. And if it sounds like we’re anthropomorphisizing black holes, it’s because we are. 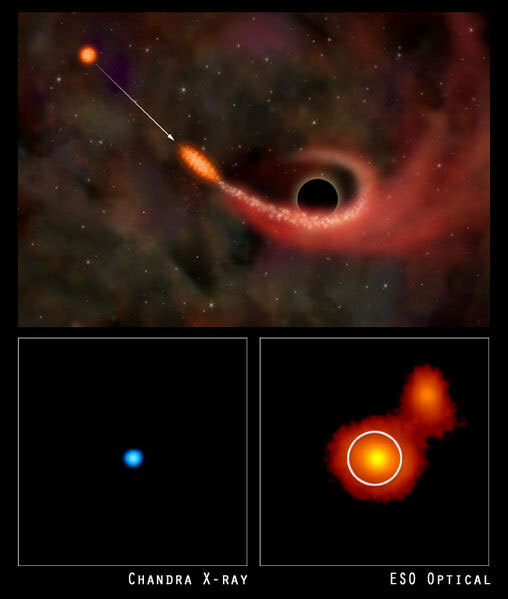 Artist rendition of a black hole eating a star. Coffee reduces risk of death from heart disease?